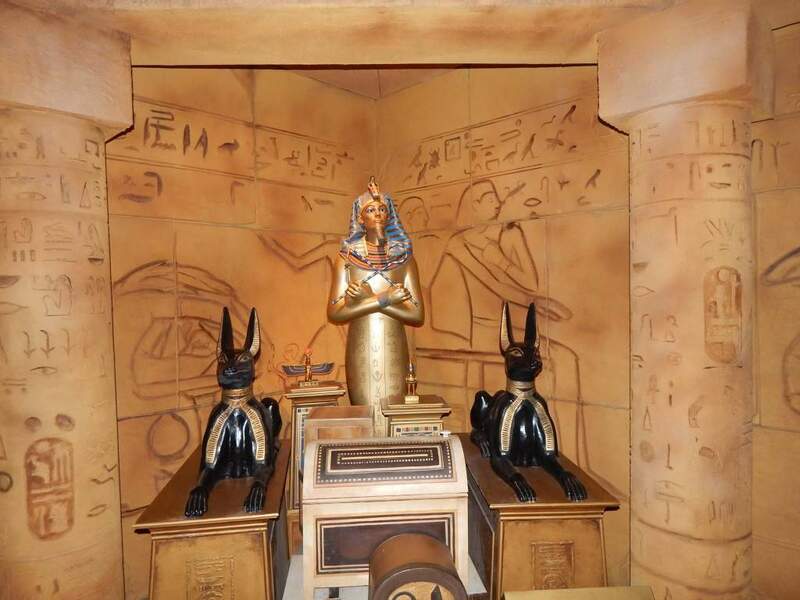 Explore The Tomb – If you Dare…. 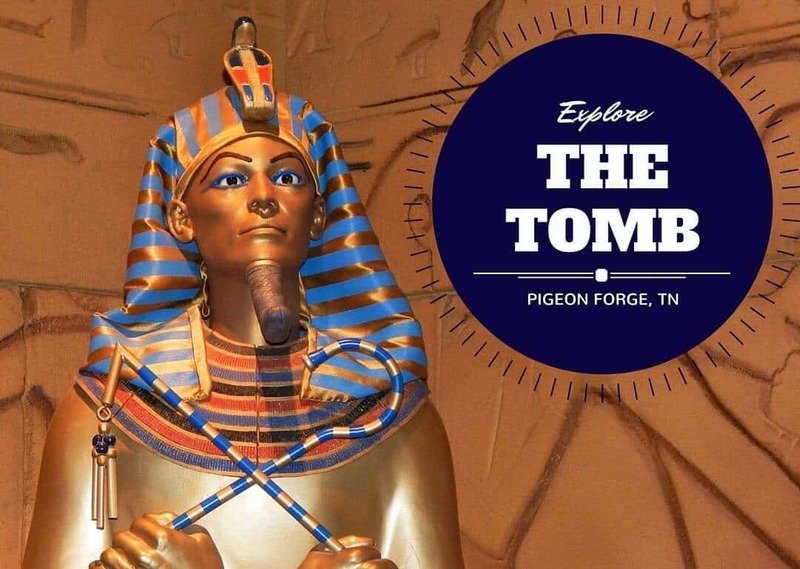 Next time you are in Pigeon Forge, go on an adventure and follow in the footsteps of Indiana Jones and explore the Tomb. 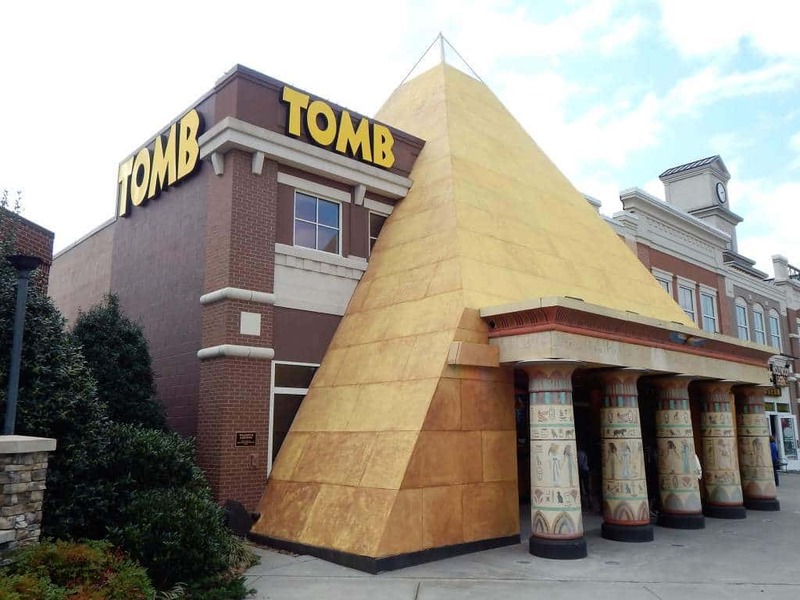 Located on the main strip, you can’t miss the large gold pyramid. Your whole family will enjoy this adventure filled with challenges you have to work together to solve. New adventures leave every 15 minutes. 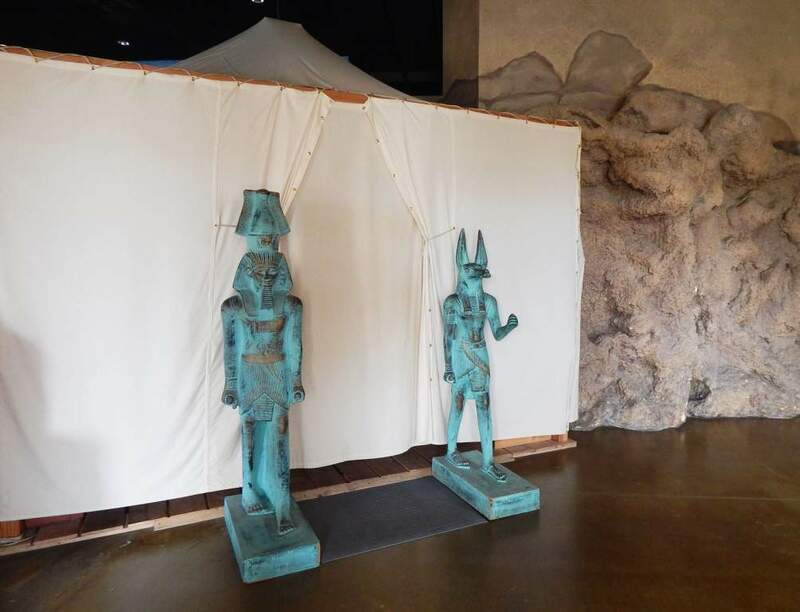 To get started, your group will be invited to step into a large tent by your guide (who is with you every step of the way) where you will be invited to accept your mission. Armed with a flashlight, venture into the Tomb where you will meet the Pharaoh. He will task you with riddles and puzzles to complete your quest. The adventure takes about an hour as you travel through multiple rooms. If you are familiar with Escape Games, the Tomb is similar. But your experience is not timed and your guide is there to help you if you get stuck. There are some periods of darkness, strobe lights and loud sounds but it’s all in good fun. Our 5 yr old was scared at first but she did warm up. The rest of our group of elementary and high school kids really enjoyed the experience. Disclosure: We were given free admission to this attraction so could share our experience with you!